CAMP SMITH- Sgt. 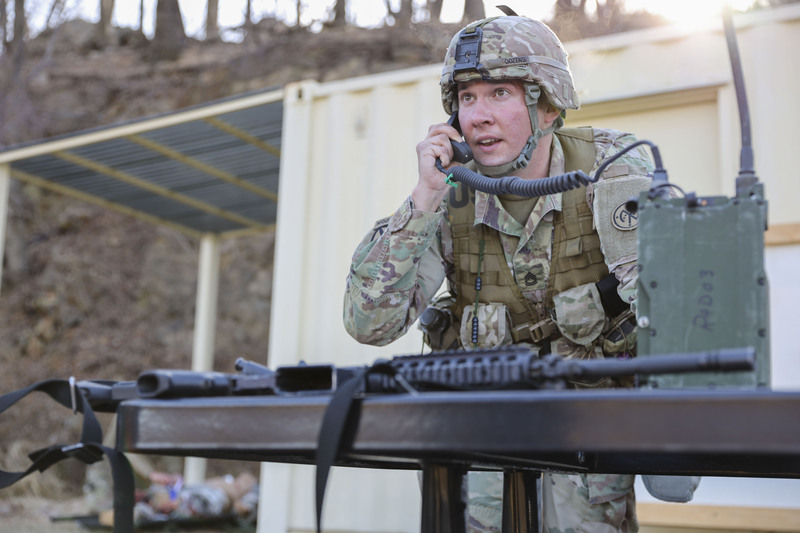 1st Class Martin Cozen an infantryman assigned to Alpha Company 2nd Battalion 27th Infantry Brigade Combat Team and the winner of the New York Army National Guard Best Warrior Contest NCO category, calls in a report during the medical evacuation event of the Best Warrior Competition at Camp Smith Training Site N.Y. March 28 2019. The Best Warrior Competition held March 28-30 2019 is an annual event in which junior enlisted Soldiers and non-commissioned officers from various New York Army National Guard units compete in several events intended to test their military skills and knowledge as well as their physical fitness and endurance.